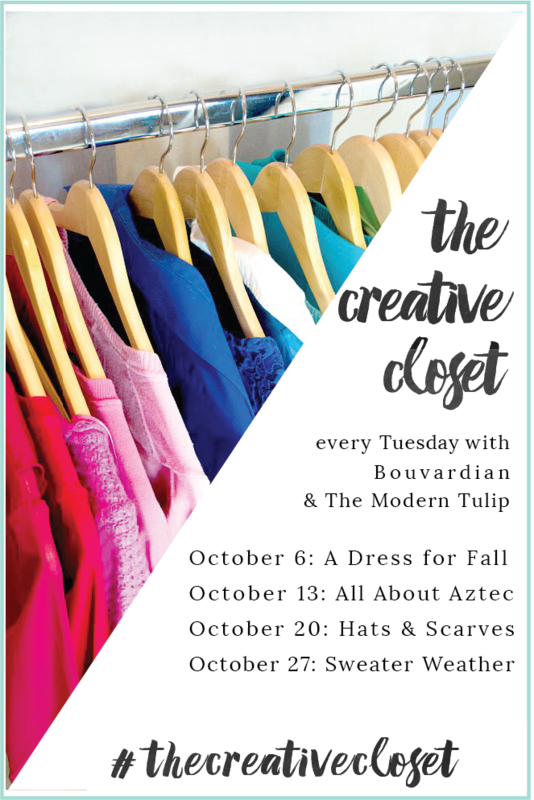 15 comments on "The Creative Closet || A Dress For Fall"
I love that dress!! 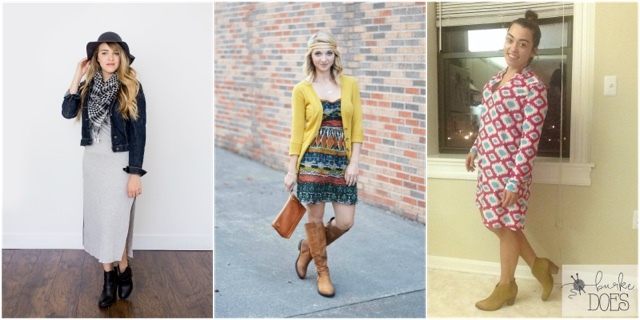 The colors and print are so fun, and it's so perfect with the cardigan and boots. Enjoy your time at the beach... that sounds wonderful!! I'm seriously considering buying those boots. And you know from Insta how I feel about the rest of this outfit (<33333!!) - Have SO MUCH FUN at the beach! Love, love, love that outfit!! 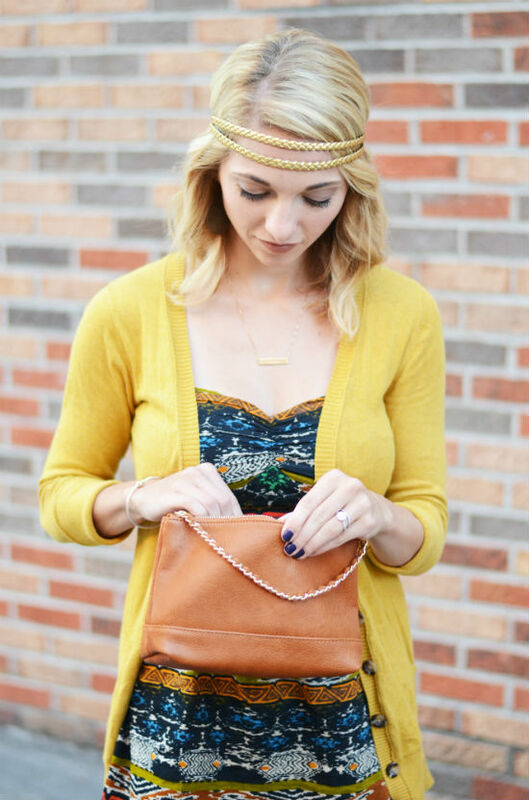 This boho look is so cute! I especially love the headband. This is boho chic at it's best!!! oh i LOVE the headband. i don't think i'd be able to pull it off, but you totally rocked it! 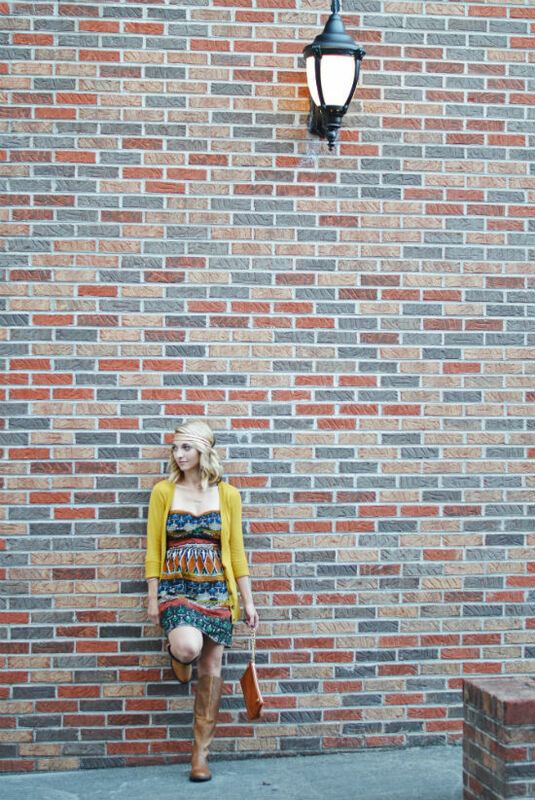 That mustard sweater perfectly complements that dress and those boots. Oh, I love that! WOW this Fall Bohemian outfit is gorgeous. I love the dress especially with the cognac accents. You did your hair beautifully, too. What a sweet dress, you're right the colors are super fall. Liking the headband too - I also dig that look as you can see! Beautiful dress! And that headband really pulls the outfit together. It's so hard to pull off that look but you look great! 1. I loofa those boots! 2. You totally rock that headband! I always want to try it (and sometimes do) but my husband looks at me and it just like, "No." Hahaha I hate when husbands don't get behind cool new trends! ;) You are darling, as usual! Love this look on you, girl - you totally know how to rock a headband in that way! Also, thank you SO much for adding my link to the party last week!